We’re not here to tell you how to run your business. Neither are we here to hold your hand, or agree with everything you say. We want to challenge you. To push you. To help solve the challenges that you tell us about, to uncover the ones you don’t know that you have, and to not charge you a penny for it. This is about making Gloucestershire businesses the best they can be. 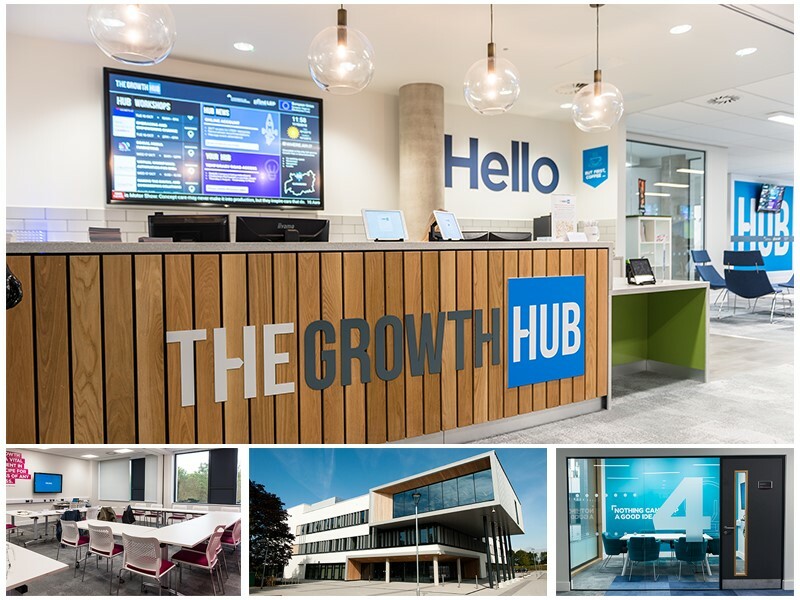 The Growth Hub has worked with 3000+ businesses since we opened in 2014, ranging from aspirational entrepreneurs to multi-million pound firms. Staffed by a team of experts from diverse backgrounds, we are united in our desire to see local firms punch above their weight. From sales to finance, to strategy, export, skills and everything in between: we have the knowledge and resources to help you get where you’re going faster. You don’t have time to keep track of all the funding opportunities available, all the awards you could enter or the programmes you could take advantage of. That’s where our Business Navigators come in. Their job is to stay abreast of the entire business support landscape, and point you to the right resources at the right time. If they don’t have an answer for your questions, they can introduce you to somebody who does. And alongside this, our Business Guides are on hand to put their support behind companies who want somebody who speaks their language. Experienced, connected and credible; this team will force you to look at things from another angle and identify opportunities for growth that you never knew you had. Whether they’re a critical sounding board for your ideas, a research partner for new markets, or another pair of eyes for your finances; they will roll their sleeves up and get stuck into the problems that keep you awake at night. We’re paid to help every Gloucestershire business grow. Depending on your size, shape and sector; you’ll have access to different levels of assistance, which increase as your company grows.